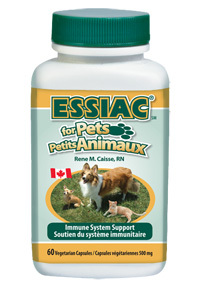 For your cats and dogs immune system support. Today more than half of us in North America have pets. Our pets provide us with companionship, unconditional love, and bring lots of joy to our families. Knowing how to take care of our pets is an important part of being a “Pet Parent”. Pet supplements, the type of food they eat, and general knowledge on “pet health issues” is essential for their well- being. Our pets rely on us completely. hypromellose (capsule), vegetable magnesium stearate, microcrystalline cellulose. as well as other animals.